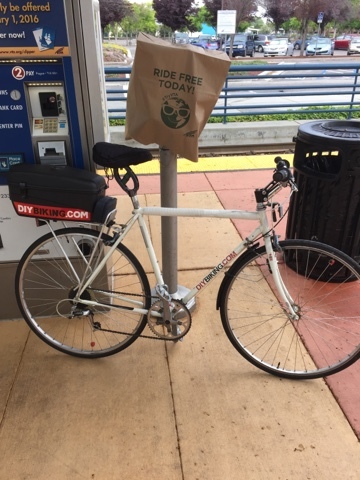 It's always a pleasure to bring a bike on a train but for Earth Day 2016 any traveler can ride for free. It is a great gesture. A greater one of course would be raising the gas tax and using the money to boost the Caltrain and VTA budget but that is a longer conversation with many different people.